Can We do This…Yes We Can!!! Well…with a few ‘tweaks’ we can do this!!! All we need a is coral giraffe cane and decorative elements from Filigree & More…maybe a Swarovski or two and VOILA…you’ve got it!!! 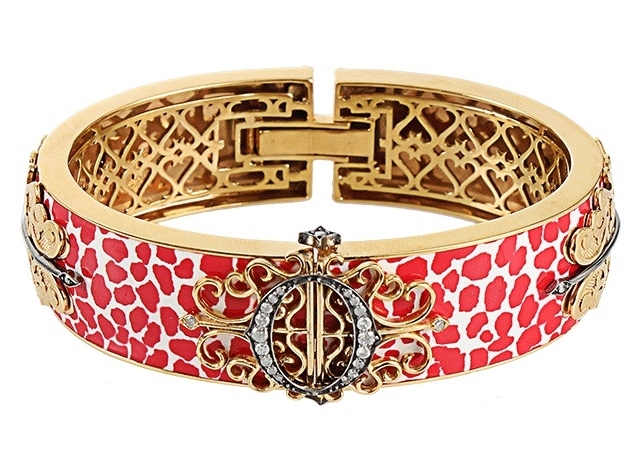 This $2,520 Bochic bangle is from Marissa…love the jewelry pages.